Awwww, a black and orange kitty. 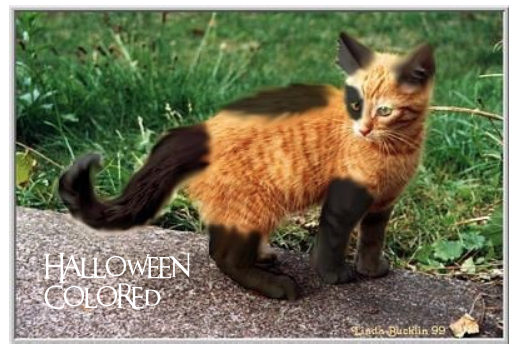 It's easy to see that this cat is just cute and Halloween colored. 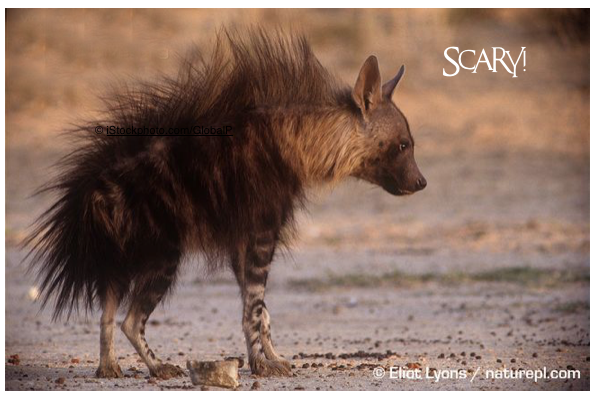 Nah, just a Brown Hyena. This is a pretty little frog, but don't touch him. 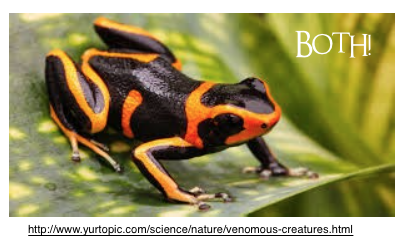 He's a Poison Dart frog! 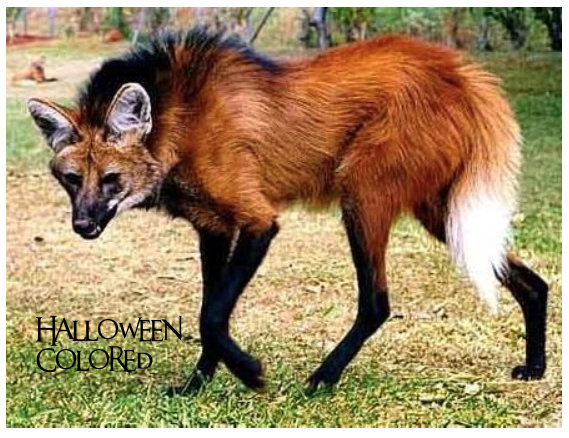 Nope, though he looks scary, the Maned wolf is so shy that even other Maned wolves make him uneasy! 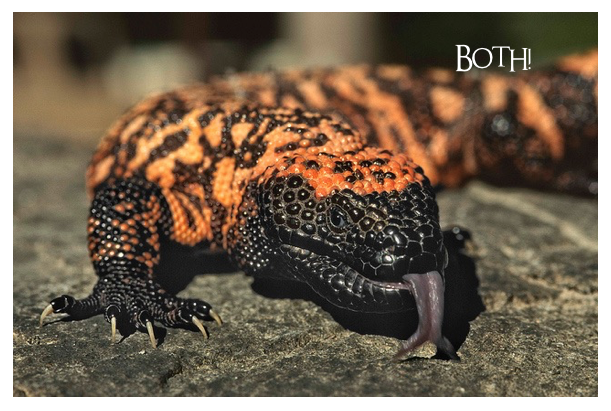 And this is one of my favorite reptiles, a large desert lizard with a very cool name...the Gila Monster! Well, he's poisonous. But so slow that he's little danger to humans. 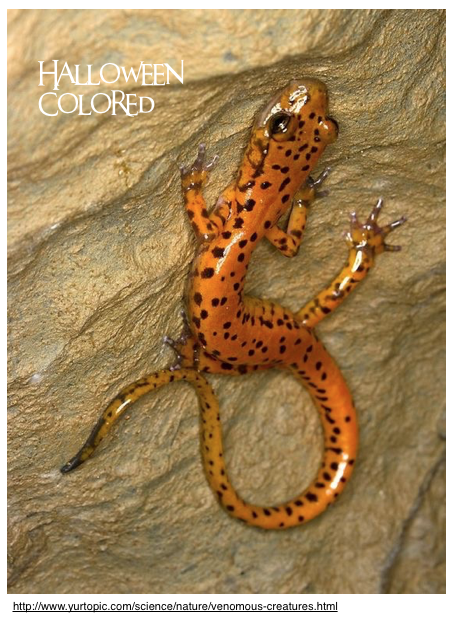 Beautiful and strikingly orange and black! 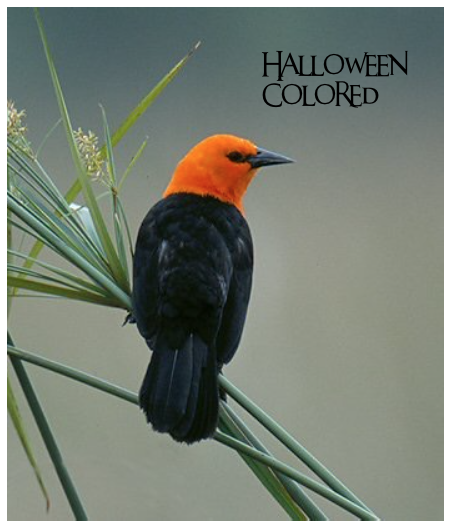 This is the Scarlett-Headed Blackbird. 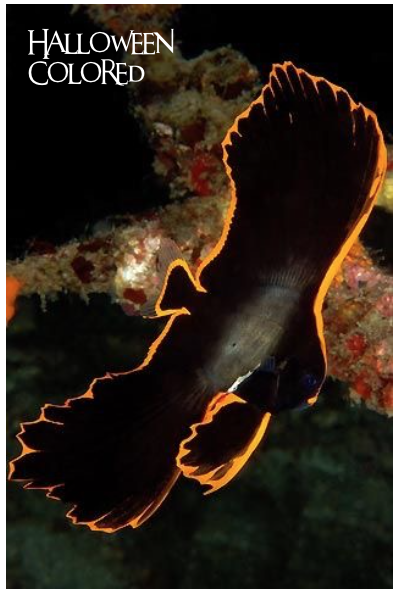 Completely outlined in bright orange, this Pinnate batfish is hard to believe! 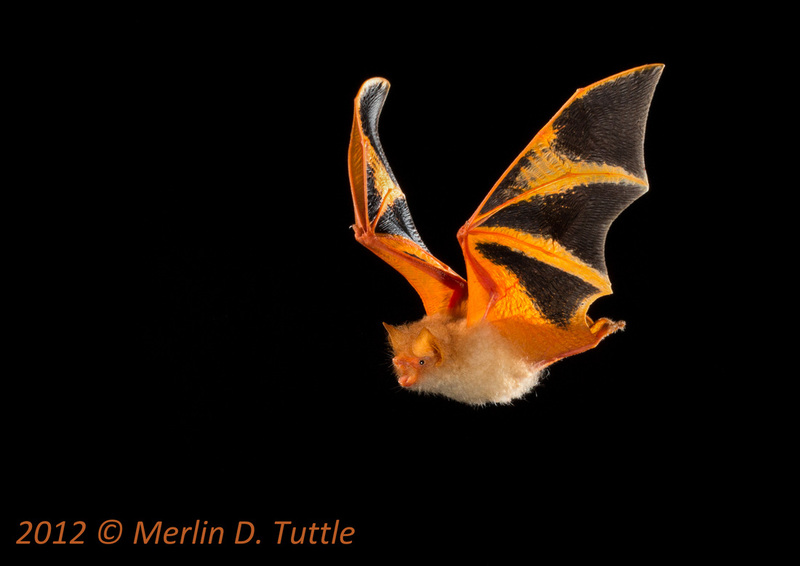 Perfect for Halloween! 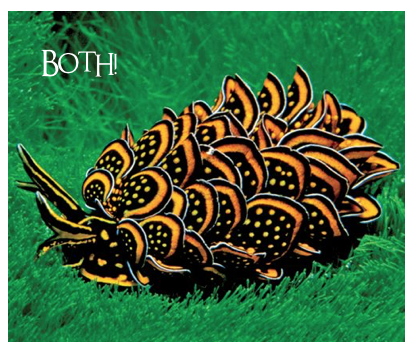 BUT, though amazing-looking, this sea slug, Cyerce Nigrican, can cast off his "petals" and poison the water around him! 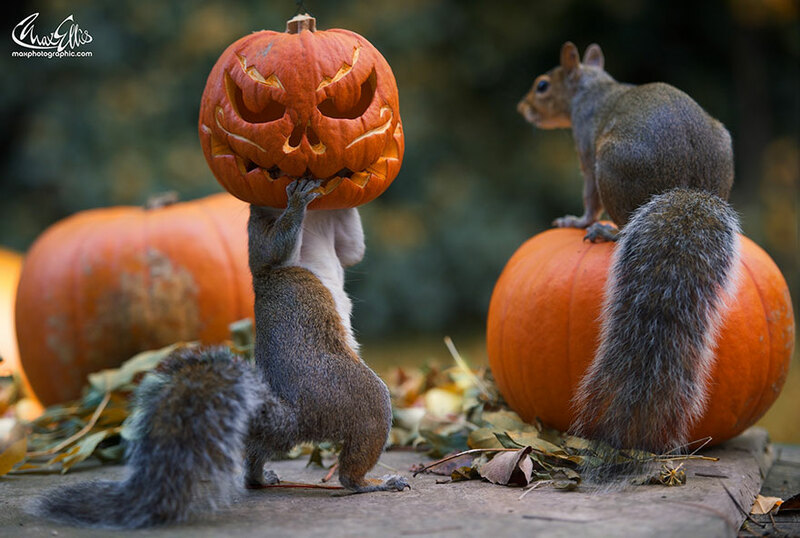 And then, there are the squirrels, who happen to LOVE to eat pumpkins and will even steal them! 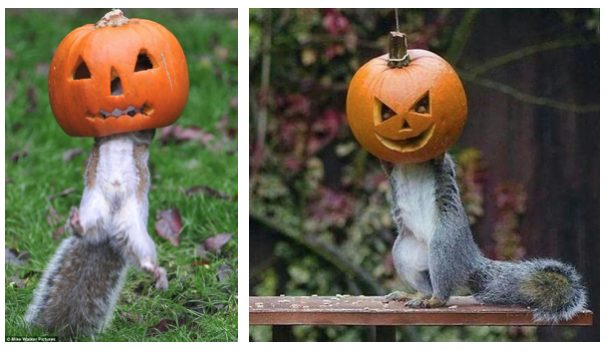 So here are three Halloween photos that make me laugh! This is very cute. You have shared an interesting post. I really loved this blog post. I got a lot of good information from this blog post. If you need essay writing services details for essay works.Or do you have to write an effective essay for school competition? Please takes helps from authorized services that are available on web. Visit best essay writing service if you want more writing tips and guidelines. My first online casino solely best gambling sites in which I played. Just want to highlight a very beautiful design and convenience and beauty in all games. The presence of public tables testifies first of all to casino honesty - nobody twists the roulette wheel specially - at least =).